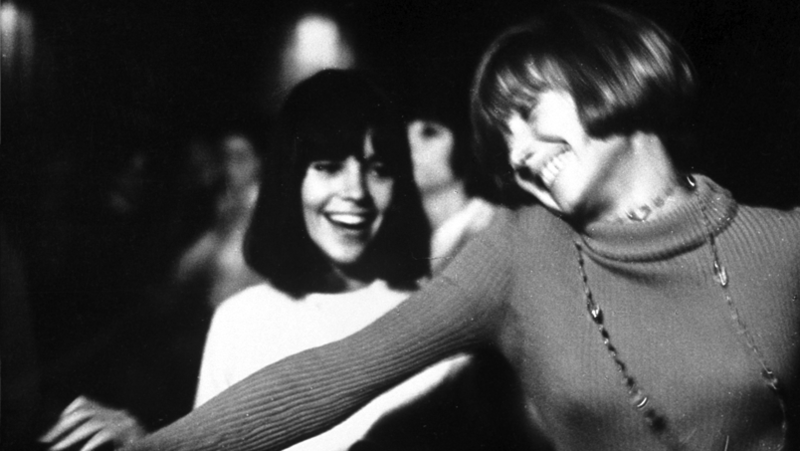 Masculin féminin was screened as a part of the Barbican Centre’s A Grammar of Subversion season, which is itself part of the wider Dancing Around Duchamp programme exploring the extent of Marcel Duchamp’s cultural influence. The season’s aims are to “explore themes of sexual identity and play, irreverence and anarchy, the irrational and chance, the provocative and the subversive.” Godard’s film is a perfect fit; a peek into a world of hypersexed, superintelligent French kids using a vast range of cinematic techniques; long, single shot interrogations; quickfire montage; random acts of graphic violence; title cards punctuated with loud ricochet cowboy gunshots. 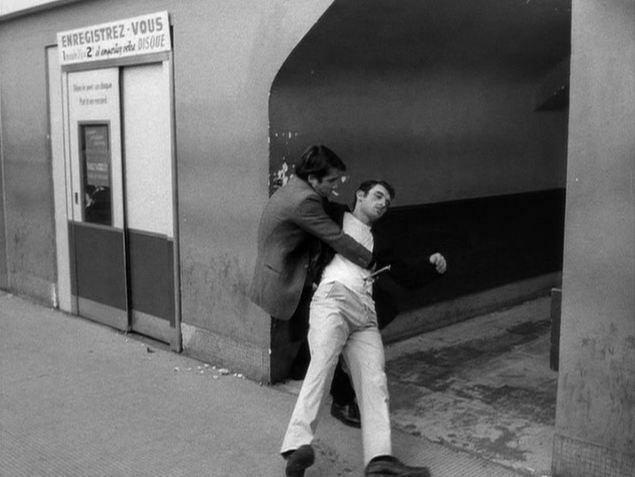 Godard is a director unafraid to alienate and even bore his audience, so approaching his work can be a bit daunting. 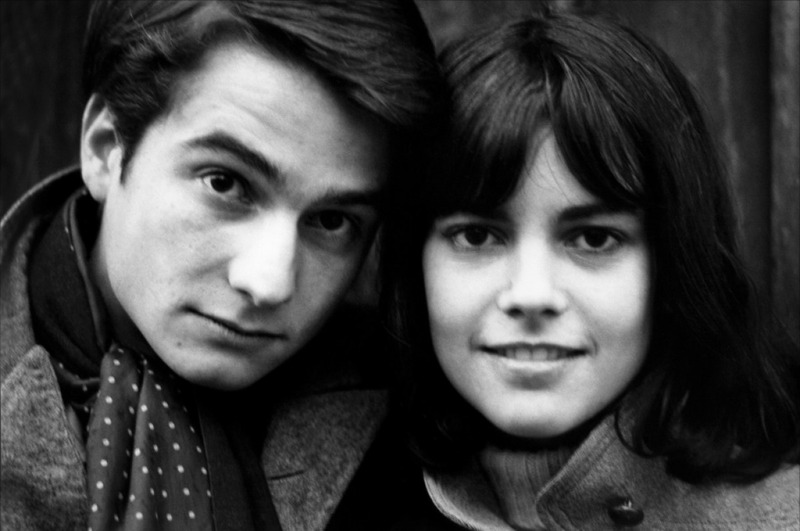 But Masculin féminin is one of his more approachable works, his philosophy and politics stretched over the relatively straightforward plot of a relationship between Paul (Jean-Pierre Léaud), an quintessential angry young man, and up and coming yé-yé singer Madeleine (Chantal Goya). If you take into account the type of crowd that spends their Sunday night watching a French New Wave film from the sixties, I think most men here will see something of themselves reflected in Paul. He perfectly captures a stage of development where a person is confident in his intelligence yet still immature. He’s desperate to show off how much he knows, his primary aim not being the overthrow of capitalism, but impressing girls. At his best Paul does things we wish we had the guts to do, my favourite being running up to the projection booth in a cinema and loudly complaining that the film is being shown at the wrong aspect ratio. At worst he’s cringingly embarrassing, a nouvelle-vague Holden Caulfield who, despite his left-wing pretensions, obviously cares about little but himself. 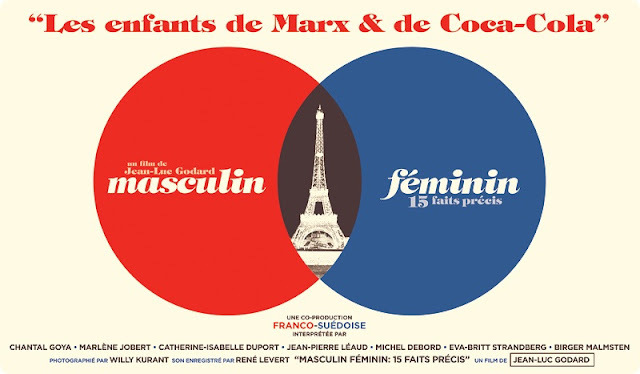 If Masculin féminin is a battle of the sexes, it’s difficult to say who comes out on top. Madeleine has slightly more self-awareness than Paul, yet she and her friends are shown as facile, shallow consumers: the women care about shopping and magazines, the men care about politics. At times the film is casually misogynistic, perhaps most apparent in a long, unbroken take of Paul ruthlessly interrogating a teen model. He takes a sadistic delight in exposing her ignorance of socialist philosophy and the Vietnam war, the title cards join in too, unkindly summing her up as a “consumer product”. This victimisation is a tad hypocritical because Paul, so concerned with cluster bombs in Vietnam and political prisoners in Brazil, repeatedly ignores the violence that surrounds him. Surreal events keep happening around him; women shoot their husbands dead; protesters self-immolate; a would-be mugger suicidally thrusts a knife into his chest. Paul never knows quite how to react, apparently preferring to pretend that none of this is happening. This is Godard showing us a generation that loves the sound of its own voice, yet when push comes to shove can’t really conceive an alternative to the consumerism and violence it claims to abhor. A passerbey randomly sticks a knife in his gut. But much of this is self-criticism – despite their Marxist principles, both Paul and Godard enjoy frolicking in a sea of shiny and exciting American pop culture. If this is a battle between deeply held philosophical, political and moral beliefs and the sheer fun of pop music and gangster films, there’s no clear winner. But boy it’s a fun battle to watch, because for all their hypocrisies and pretentions, Paul and Madeleine embody a freewheeling, uniquely sixties joie de vivre. With Masculin feminin, Godard immortalised an iconic time, place and mood – we can only dream of living lives as free as these dirty, pretty things.